“Action Comics: 80 Years of Superman Deluxe Edition” shows the evolution of the character created in 1933 by writer Jerry Siegel and artist Joe Shuster. They sold Superman to Detective Comics, the future DC Comics, in 1938. This book shows why Superman has maintained his appeal from generation to generation. The book features more than 19 stories and essays, including a forward by Paul Levitz, an introduction by Laura Siegel Larson (Jerry Siegel’s daughter) and other pieces by Jules Feiffer, Tom DeHaven, Marv Wolfman, David Hajdu, Larry Tye and Gene Luen Yang. There is also a section with cover highlights and full biographies at the end. The comic stories include the first comic, “The Mystery of The Freight Train Robberies” to “The Super-Duel In Space,” and ending with “The Game” written in April 2018. There are also stories that explore the relationship between Lois Lane, Clark Kent and Superman as well as some cameo appearances by some famous figures including President John F. Kennedy. Readers are treated to comics that explore the origins of Supergirl, Brainiac, the Fortress of Solitude as well as a previously unpublished 1940s Superman tale believed to be written by Jerry Siegel with art by the Joe Shuster studio, salvaged 50 years ago and hidden away. 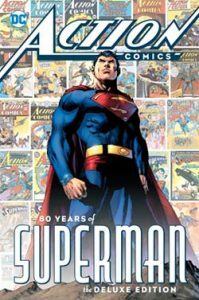 Along with this book, people can also purchase the 1000th edition, making Superman the first comic book to reach that highlight. 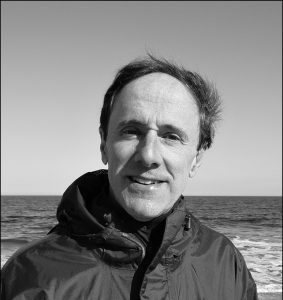 Larry Tye: Superman has evolved more than the fruit fly. In the 1930s he was just the crime fighter we needed to take on Al Capone and the robber barons. In the ’40s, he defended the home front while brave GIs battled overseas. Early in the Cold War, he stood up taller than ever for his adopted country, while in its waning days he tried singlehandedly to eliminate nuclear stockpiles. For each era, he zeroed in on the threats that scared us most, using powers that grew or diminished depending on the need. So did his spectacles, hairstyle — even his job title. Each generation had the Superman it needed and deserved. Each change offered a Rorschach test of the pulse of that time and its dreams. Superman, always a beacon of light, was a work in progress. EC: What influences has Superman been on comics, movies and TV shows? 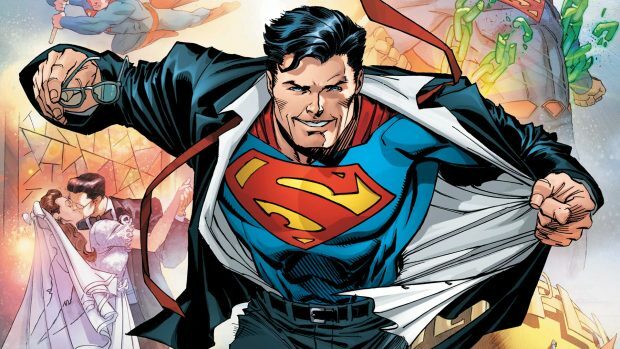 LT: Over the years comics have been transformed — from childhood entertainment to art form to mythology — and Superman helped drive that transformation. The comic book and its leading man could only have taken root in America. What could be more U.S.A. than an orphaned outsider who arrives in this land of immigrants, reinvents himself, and reminds us that we can reach for the sky? Yet, today, this flying Uncle Sam is both global and multi-media in his reach, having written himself into the national folklore from Beirut to Buenos Aires. It is that constancy and purity — knowing that he is not merely the oldest of our superheroes, but the most transcendent — that has reeled back aging devotees like me and drawn in new ones like my daughter. It is what makes the Man of Tomorrow timeless as well as ageless. EC: Do you think the aviation’s golden age influenced having Superman fly? LT: I think it has less to do with what was happening in the real world of aviation than in the heads of his creators. Superman was a man of the world, perennially on call and needing to dash to wherever Lois Lane and others required his help. Flying would have made that easier and would become his trademark, but it did not happen overnight in the comic books or strips. The most he could manage in 1938 was leaping an eighth of a mile and outracing an express train. Two years later, after what must have been intense training, he could vault into and beyond the stratosphere, outrace an airplane and run a mile in a scant second. By 1942 he could run at the speed of light and outpace an electric current. But still no take-off. Do you think women’s issues also played a role? LT: Yes, and that was especially apparent with the launch of a comic that let women and girls see a Superman-like character created in their own image. The fellow Kryptonian who gave Superman the greatest joy, and the most sleepless nights, was his cousin Kara Zor-El, known on Earth as Supergirl. It took until 1959 to launch her as a character when we quickly got the full story. The Maid of Steel, who would get her own comic book, gave Superman a blood relative and fellow outsider with whom he could let down his defenses. If youths of all stripes embraced Superboy, now girls had a heroine made in their own special image. And if H.G. Wells’s “War of the Worlds” had given aliens a bad name, Supergirl and Superman polished the image of the interplanetary interloper. LT: She and all of Argo City had been hurled into the cosmos when the rest of Krypton exploded. Later, when the orbiting Argo itself was threatened, Kara’s father launched the child in a spaceship headed for Earth. Save for gender, her story mirrored her famous cousin’s: She assumed the secret identity of the pigtailed Linda Lee, she had adoptive parents named Fred and Edna Danvers, she shunned her male admirers and she had superpowers that she used to help humankind. Over time she became a role model for millions of women of all ages, and especially the thousands of young women attracted to the no-nonsense world of journalism by the no-nonsense reporter Lois, who always beat Clark to the story — even if she never quite got his quick-change alter ego. LT: With his perfect pug nose, electric blue eyes and a boyish spit curl that suggested Anglo as well as Saxon. No hint in his sleek movie-star name, Clark Kent, which could belong only to a gentile and probably one with a lifelong membership at the country club. His social circle didn’t give it away either: Lois Lane, George Taylor and even Lex Luthor were, like him, more Midwest mainstream than East Coast ethnic. LT: Superman had even stronger cultural ties to the faith of his founders. He was the ultimate foreigner, escaping to America from his intergalactic shtetl (a small Jewish town or village in eastern Europe) and shedding his Jewish name for Clark Kent, a pseudonym as transparently WASPish as the ones Jerry had chosen for himself. Clark and Jerry had something else in common: Both were classic nebbishes. Clark and Superman lived life the way most newly-arrived Jews did, torn between their Old and New World identities and their mild exteriors and rock-solid cores. EC: Interesting that JFK appeared to be a part of a Superman comic. Why do you think that happened? The comic story, all set to run, was pulled back when the president was assassinated in November of 1963. Shortly afterward, Weisinger got a call from President Lyndon Johnson saying, “We’re waiting for the story. When’s it coming out?” Mort explained his worry that running it might be in bad taste, at which point, as he recalled the tale, Johnson interrupted: “Horsefeathers. You can run it with a posthumous foreword, explaining that I ordered it!” Mort did. LT: This was not the first time President Kennedy had teamed up with Superman. In 1962, when Superman was ready to introduce his cousin Supergirl to the world, he brought her to the White House to meet the president. High drama, indeed: The Camelot president on the same stage with the Sir Lancelot of comic-book heroes. Two years later Superman took Kennedy into his confidence, sharing his dual identity as Clark Kent. “If I can’t trust the president of the United States,” Superman asked, “who can I trust?” There was one other time when the name Jack Kennedy had turned up in Superman’s comic books. It was in the very first of the “Superman” series, in July 1939. A character named Kennedy was murdered, and the newly minted Man of Steel saved a wrongly-accused man from being executed.